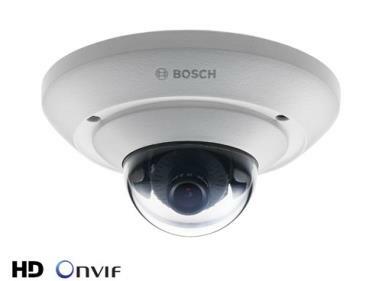 The HD 1080p and 5MP vandal-resistant microdome cameras from Bosch are professional surveillance cameras that provide high quality HD and MP images for demanding security and surveillance network requirements. The camera comes with a choice of lenses including an ultra-wide angle lens which provides outstanding performance without the need for de-warping software. The cameras are available in 1080p and 5MP versions and there is a special version designed for Interior Vehicle Mounting (IVM) using an M12 connector.